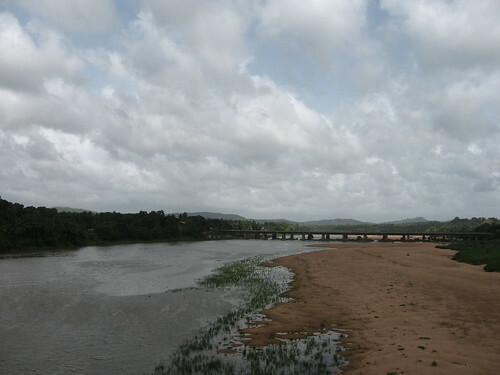 Bharathapuzha or Nila is the second longest river in Kerala. 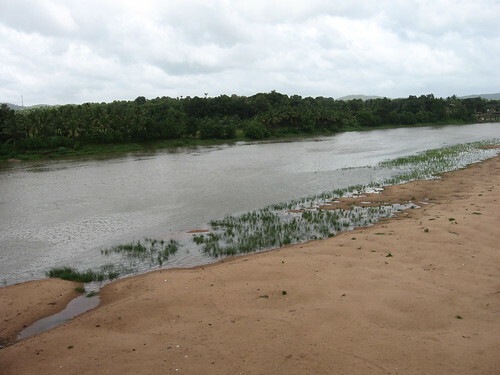 Bharathapuzha means River (Puzha) of Bharathamba (Goddess mother of Bharath – India). The allusion behind the name is that the river feeds people like their own mother – (the water is pure and can be used for drinking, irrigation or other purposes). 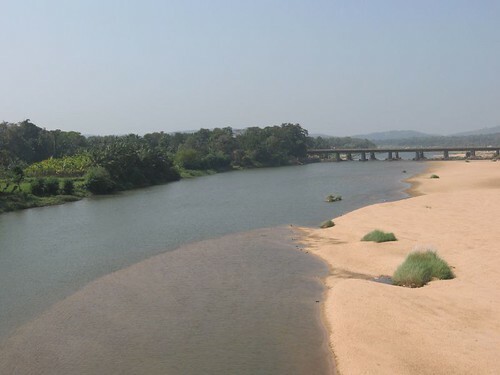 Bharathapuzha originates in the Western Ghats in Tamil Nadu and flows west through the three districts of Palakkad, Thrissur and Malappuram and finally meets the Arabian Sea at Ponnani. Nila is very close to hearts of the people of Kerala, owing to its historical and cultural significance. Many of Kerala’s greatest creative geniuses such as Kunchan Nambiar (a satirical poet and founder of the Ottamthullal art form), Malayalam writers M. T. Vasudevan Nair, M.Govindan, V. K. N. and O. V. Vijayan have been inspired by her beauty. Kerala Kalamandalam, a major learning center for Indian performing arts is situated in the village of Cheruthuruthy on the banks of Nila. The famous Ayurveda treatment centre of Kottakkal is adjacent to the Nila. It is also home to several famous Hindu temples as well. 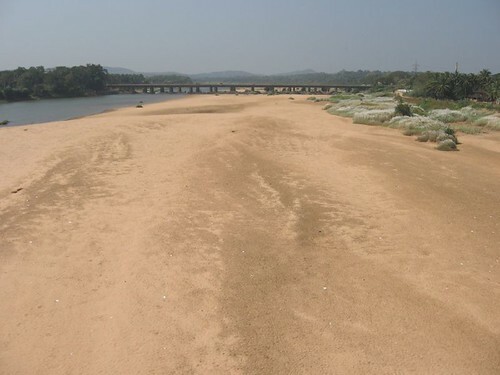 Legend goes that those cremated on the banks of the Bharathapuzha achieve salvation. 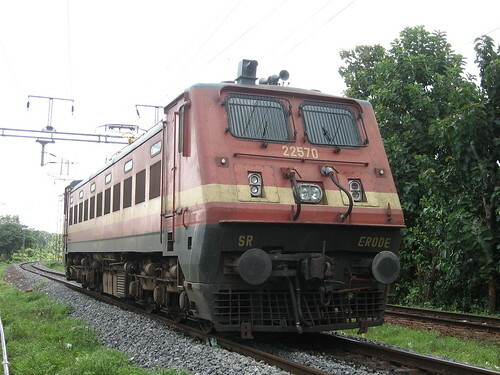 A train journey over the Bharathapuzha is a very nostalgic experience for Keralites. Many times I’ve seen travelers gaze out of the windows admiring the river that embodies the soul and spirit of North Kerala. It is not uncommon to hear travelers give impromptu lectures about the history of the river and berate the recent man-made ecological problems that have led to its drying up. The river flows to its fullest only during the monsoon season in the last few years, and this year Kerala has had a particularly bad monsoon and you can see the river much dried up. 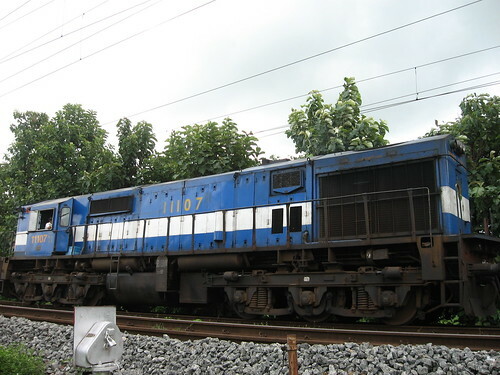 The British laid the current railway track parallel to the course of the river from Parli in Palakkad through Shoranur (a major railway junction in North Kerala) and up to Tirunnavaya (the last station on the line). 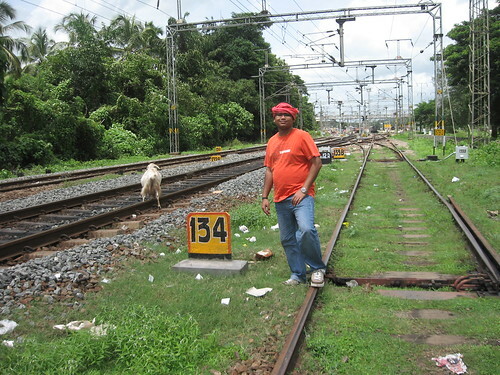 The railway line is thus an inseparable part of the contemporary history of Nila. 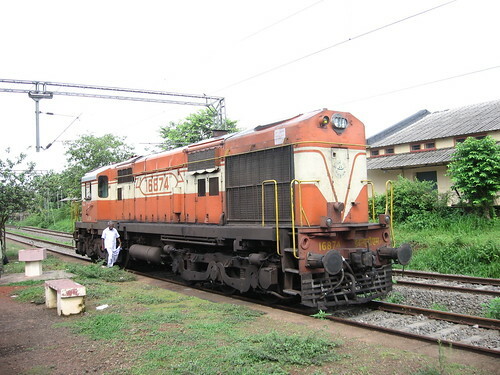 I recently went on a rail-fanning trip to Bharathapuzha. 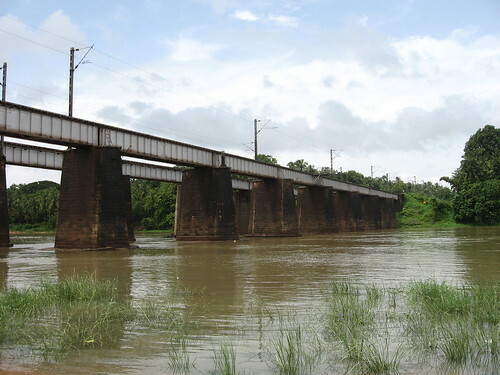 It has been one of my greatest wishes to visit the banks of the river and check out the trains gliding over the majestic rail bridges over the Nila, ever since I was a kid. Highlights of the trip included up and down rides on the Bharathapuzha railway bridges on the Ernakulam-Shoranur Passenger and Shoranur-Trivandrum Venad Express (check out video), a dip in the river beneath the bridges where I had oodles of fun waving out to passengers in the trains, a visit to a local toddy shop and finally some action packed rail-fanning at Shoranur Junction and Bharathapuzha (check out the videos of the diesel and electric action). Needless to say, with the sun playing hide-and-seek, intermittent showers and constant rail action, the atmosphere was simply enticing. Indeed, one of my best rail-fanning journeys ever! 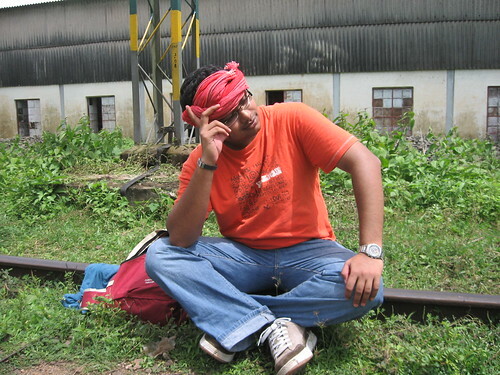 Here are a few pics from a journey over Bharathapuzha in December 2006. 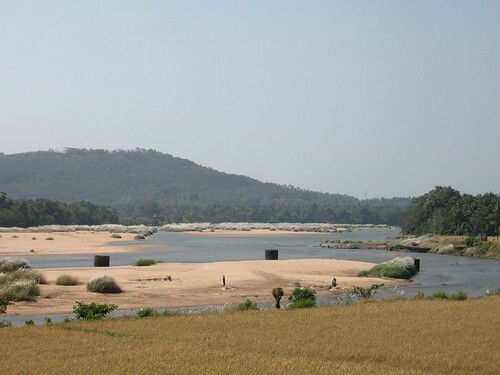 Can you name the best spots on the river bank between palakkad and Thrissur/Shoranur I might visit? I went to a couple of spots near Thiruvilwamala (One was called Pambadi), but these were dirty and quite unpleasant. One was a bathing ghat and the other was behind a temple where death rites are performed. Both had lots of waste food, and other garbage. On the other hand, your pictures of the flowing river and sandy banks look very inviting. Please name the towns/villages from where I can access some nice parts of the river. If a couple of these spots can be accessed by kids/old people easily, that would be just perfect.